The Indian Cooperative Network for Women (ICNW), the first co-operative societyin the south for poor women and of poor women was initiated in the year of May 1981. 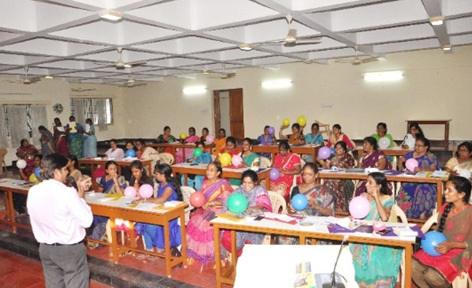 The successful ICNW experiment demonstratesthe manner in which the poor women learned to take their own decisions through collective consciousness and demonstrated their self-help, self-management process despite being poor and vulnerable. ICNW strengthened not only their economic roles to enhance their existing skills and/or trained in new skills but also enabled the other women in neighborhoods to join this effort acclaimed as a best practice model in Asia and very transparent in its functioning. ICNW participated in various seminars/conferences both in the national and international arena. The participation allows ICNW to exchange information among other institutions and share its successful model and their perspectives. The Indian Cooperative Network for Women (ICNW)/Working Women’s Forum (India) (WWF) organized an event to commemorate on its 40th anniversary. The event titled Campaign of “Cooperatives for Peace and development and Poverty Reduction in South Asia” was held at its Headquarters in Chennai on April 3-4, 2018 to highlight the need for Peace for Sustainable Development, Poverty Reduction and Women’s Empowerment globally. ICNW was privileged to collaborate with the Asian Cooperative Leader of the Peace Movement – The Japanese Consumer Cooperatives Union (JCCU) who were in Chennai for the campaign to enhance awareness on the above issue in South Asia initiating it from India (Chennai and Kanchipuram). The JCCU is the apex of the consumer cooperatives in Japan where women play a very active role in consumer cooperatives. 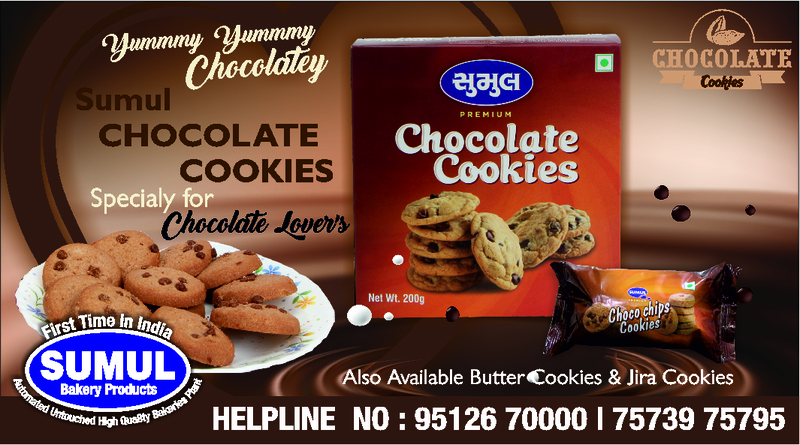 It has37 percent of the households countrywide in its union. At this meeting 14 Cooperative network branches of ICNW from South India – Tamil Nadu, Andhra Pradesh & Karnataka will participate in this event. Over 2000 women Cooperative leaders such as weavers, lace makers, fisher women, vegetable vendors and several other micro entrepreneurs participated to express their solidarity with the campaign. This is one of the first such Asian initiative where poor women in cooperatives took center stage in the international peace movement linked to the United Nation’s Sustainable Development Goals. The highlight of the program was that Ms. Daniela Bas, Director Division for Social Policy and Development, UNDESA New York who is the UN focal point for the cooperatives worldwide gave the inaugural address (in absentia) for the event. This was read by Dr. Nandini Azad, President Indian Cooperative Network for Women. In the video message Mr. Eiichi Honda, President JCCU recalled the devastation of Hiroshima and Nagasaki and the launch of “Hibakusha Appeal”, a signature campaign for the abolition of nuclear weapons by citizens. He also congratulated at the commemorative 40th anniversary of Indian Cooperative Network for Women. Ms. Chitose Arai, Vice President of JCCU & International Cooperative Alliance – Asian and Pacific (ICA-AP) Vice President rendered the keynote address and spoke about the working of Japanese consumer cooperatives mentioning its role for revitalisation of communities and complimented Dr. Azad President ICNW for playing a very active role in the field of ccoperatives and working towards gender equity. Mr. Haruyoshi Amano, Manager, International Department, JCCU, Conveyed the message of Japanese co-op members who are acting for realizing peace through cooperative solidarity. Ms. Kanako Miyazawa, Senior International officer, International Department, JCCU, through her Power Point presentation provided in-depth details about the history of war in Japan and the peace activities of JCCU. Mr. Yoshikazu Koike, Officer, member Relations Department, JCCU also participated in the function towards signatures campaign of JCCU. 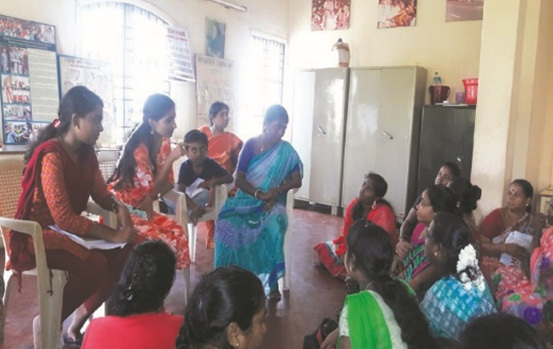 Later activist program on development issues was conducted by the youth of the Independent Commission for People’s Rights and Development (ICPRD and the orphan children of the kamaraj Illam (the Vidya Bharathi Children Trust headed by Dr. nandini Azad). The dignitaries were mesmerised and also joined (Kummi – clap dance) with the WWF/ICNW staff. Over 600 members participated in the area meeting held at Aladithoppu area in Kancheepuram on 4th April 2018. The dignitaries were given a warm traditional welcome at the branch and area. They were acquainted with the initiation of Kancheepuram branch and how the organization has transformed the lives of poor women not only for themselves but also for the welfare of the family. This was revealed by the beneficiary mebrers themselves. Providing their feedback Ms. Chitose Arai, Visce President JCCU said “let’s change the society together with women power”. Mr. haruyoshi Amano said he was very impressed with the participation of youths in the ICPRD and that the social education is very important to change the mind-set of the people and involving youth in the activity is the most efficient way to lead betterment of the society. Ms. Kanako Miyazawa was very impressed with the social activities of WWF/ICNW. 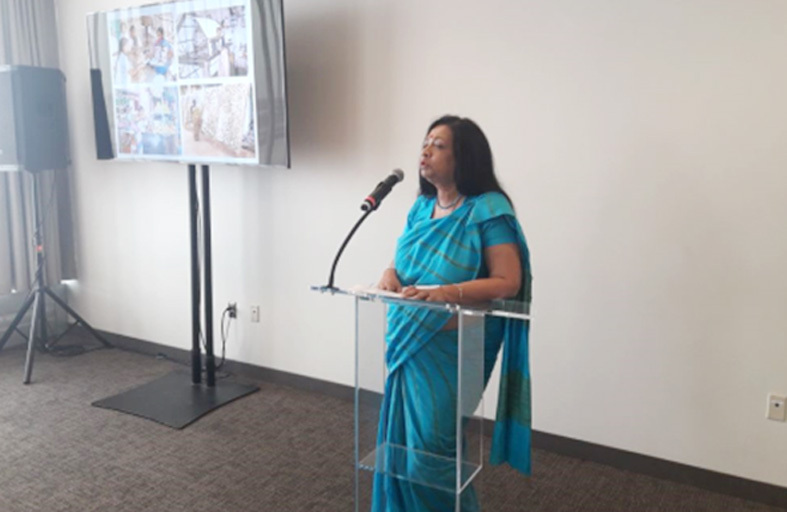 Dr.Nandini Azad President, Indian Cooperative Network for Women, an accomplished co-operator and development practitioner was invited to participate at the UN SDG High Level Political Forum at UN Plaza, New York from 10- 19 July 2017. Indeed it’s a prestigious event for ICNW as Dr. Azad was the only invitee from women’s cooperative worldwide to participate in this event where Ms. Daniela Bas, Director, United Nations Department of Economic and Social Affairs (UNDESA) chaired the panel. At this event Dr. Azad, highlighted that Sustainable Development Goals were an absolute breakthrough and could been seen as the core for growth, peace, prosperity and poverty reduction. Besides she shared with the delegates on the “ gender and equity” model of the ICNW that empowers and supports poor women workers in the informal sector. 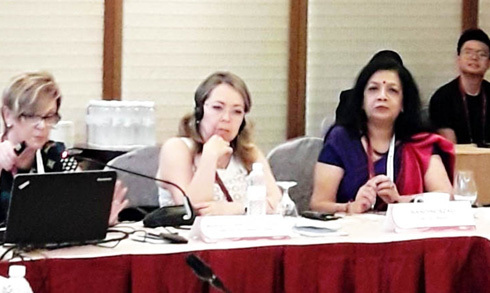 On 13 and 14 November 2017 at the Meeting of the ICA Gender Equality Committee and ICA-AP Regional Board at Kuala Lumpur, Malaysia Dr.Nandini Azad, President ICNW & Acting Chairperson of ICA–AP Women’s Committee presented the Activity Report of 2017. She read out the Asia Pacific Cooperative Ministers Conference at Hanoi wherein a Resolution that was adopted for 30-50% quota for women in Committees, Councils and other higher level Cooperative structures has been considered and put forth as the strong recommendation by the Women’s Committee in Kobe. As the officiating Chairperson of the Women’s Committee at the ICA-AP Board, Dr.Azad elaborated on the activities of the Committee for the year 2017. 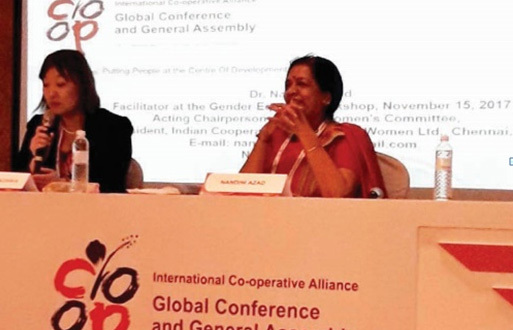 Dr.Nandini Azad along with Ms. Kanako Miyazawa of JCCU also conducted a Workshop on Integrating Gender Equality in Cooperatives at the ICA Global Conference on 15 November 2017 at Kuala Lumpur, Malaysia. During the Session on ‘Gender Affirmatives – Why Women in Cooperatives’ , Dr.Nandini Azad briefed the audience about the low participation of women in the labour market when compared to men and the prevalence of high concentration of women in the informal sector.At the session on ‘Overcoming Challenges–Integrating Gender in Cooperatives’, the importance of organizing and mobilizing women, strengthening of women’s organizations and increase in participation of women in cooperatives, sensitizing cooperative leaders and capacity building at all levels as important strategies was emphasized. 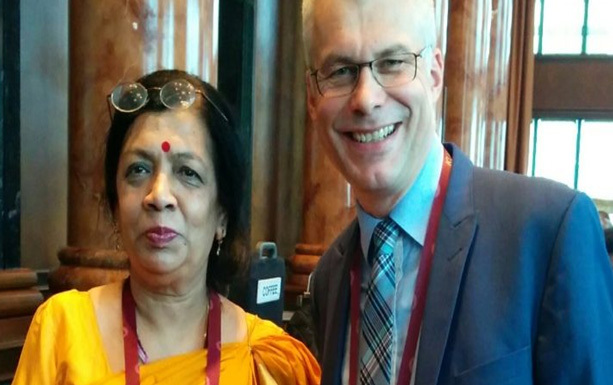 At this event another significant occasion took place when IRU Secretary General Mr. Andreas Kappes met Dr.Nandini Azad, President ICNW and Special Appointee Gender to the Board of IRU at this Global Conference and General Assembly in Kuala Lumpur. Mr.Kappes explicitly welcomed her important work and strong commitment to the gender equality and the same was published both in IRU Newsletter and Website. 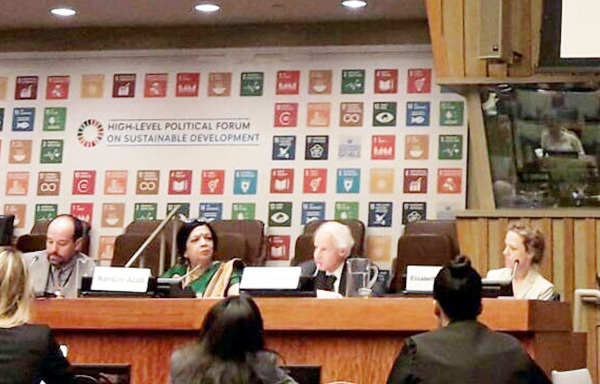 Dr.Nandini Azad, President, Indian Cooperative Network for Women, was invited to speak at the High-Level luncheon at the United Nations in New York on 1st February 2018 at the 56th Social Development Ministers Conference. The event, “Cooperatives Developing People focused strategies to eradicate poverty” welcomed more than 40 stakeholders representing COPAC member organizations, 17 Ambassadors, UN agencies and cooperatives to discuss cooperative contributions to Sustainable Development Goal and Dr.Azad was the only women leader from Asia to participate in this event wherein ICA President Mr. Ariel Guarco was a co-panelist. Dr.Nandini Azad shared ICNW’s experience in helping women in the informal economy to come out of poverty, secure their livelihood and seek life time development opportunities. She urged the cooperative movement to promote more women to leadership positions. Dr.Nandini Azad was part of the ICA delegation to the UN Commission On The Status Of Women (UNCSW) in New York, March.12-17,2018. She was asked to speak on the India’s official panel by the Ministry Of Women And Child Development On 14th March, 2018 on the ‘Beti Bachao Beti Padao’ National campaign that was very much appreciated. ICNW continues to inspire the organization to formalute / implement various programmes.in this regard Dr. Jaya Arunachalam, President Working Women’s Forum (India) was invited to participate in the working group session on civic engagement on 14 September, 2017. Sharing her views Dr. Jaya Arunachalam said through proper urban design in city administration creating a public realm that brings together citizens of the various working population of the city will definitely help in bringing about a change, but this is possible only if the municipal administration work appropriately and take the views of the citizens as well. Besides, the President WWF also said that since 35 years WWF/ICNW’s has always placed a greater emphasis in its orientation program to create awareness about the improved sanitation and solid waste management practices that pollute the environment and increases the risk of diseases due to non-cleaning of the drainage. Dr. Jaya Arunachalam that traced the history of the four UN World Conference on women that were instrumental in elevating the cause of gender equality as global agenda. To provide opportunity for the younger generations towards development work, ICNW always accommodates students to undergo internship/visits to facilitate them to be change agents. As a result Ms.Ateba and Ms. Aleena students of integrated B.A.,L.L.B., course Mar Gregorios College of Law, Thiruvananthapuram, interned from April 20 to 30, 2017. The President, WWF briefed the students that the women have to be enlightened and empowered on issues that affect women such as gender based violence, Properties Act, crimes against women etc., and all these issues are taken and addressed by WWF/ICNW. The interns were briefed about the activities of the organization, banking procedures, training aspects and various cases handled by ICNW/WWF. 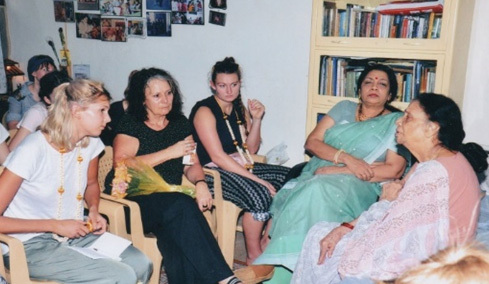 Also Professor Dr.Bruni Landwehr led a team of 18 students who are pursing teacher training course from University of Leipzig, Germany to Indian Cooperative Network of Women Chennai headquarters on February 14, 2018. 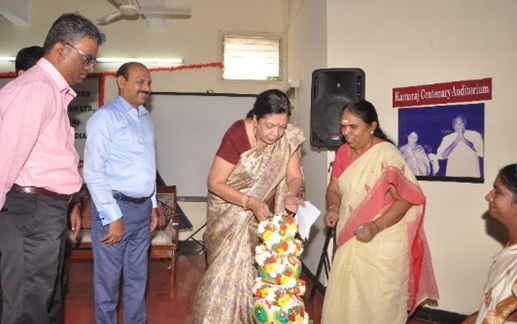 Dr. Jaya Arunachalam, President, Working Women’s Forum (India) welcomed the students and shared her views with them. Welcoming the students, Dr.Nandini Azad, President, Indian Cooperative Network for Women briefed on the origin and activities of the organisation that works for upliftment of the poor women to come out of poverty by engaging themselves in micro entrepreneurial activities. On February 15, 2018 the team visited the Kanchipuram branch. The staff of Kanchipuram branch apprised the team about the initiation of the branch, the hardship faced by the poor women especially the women silk weavers. The visiting team also spoke directly to the members and learned the plight of the child bondedness and how the organisation fought for their rights and facilitated them to lead a better life in both their personal and occupational lives. 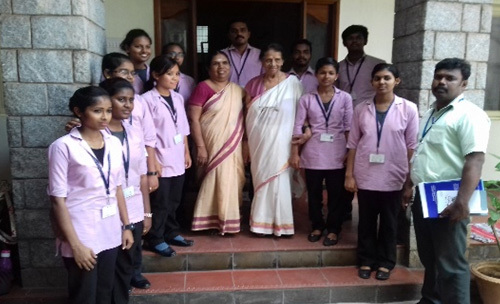 As part of the curriculum 12 students of Madras Medical Mission led by senior lecturer Mr.S.P. Raj visited WWF/ICNW on March 14, 2018 they were briefed about the organization – the reason for initiation, various program and activities. 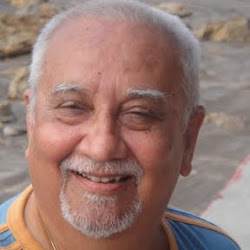 Mr. S.P. Raj said the visit to WWF/ICNW was an eye opener and the organization facilitates the poor women in all aspects be it empowerment, access to credit solving their problems, health care and above all the corporate social responsibility of the organization. Further is said this experience would be very helpful to student while working and dealing with patients. A two day orientation programme for 30 women co-operators of Indian Cooperative Network for Women promoted by Working Women’s Forum (India) was organized on 9 & 10 February 2018 at Chennai Headquarters. The women co-operators from the all the 14 branches i.e Tamil Nadu, Andhra Pradesh and Karnataka participated in this orientation programme. This programme was organized with a motive to impart the necessary knowledge and competencies in enabling the women co-operators to utilize in their day-to-day work. Inaugurating the orientation programme Dr.Nandini Azad appreciated and thanked National Cooperative Union of India and Mr.Satya Narayana, Chief Executive, NCUI for the grant –in –aid. Dr. Azad added that the ICNW is a role model all over the world and as the President of ICNW have represented in various important meetings like High level meeting held at the United Nations, New York, Kuala Lumpur, Hanoi etc., Further she said even though ICNW is a role model, still the trainees should utilize the training programme and enrich their knowledge more towards. Dr. Stanley Deputy Director, Natesan Institute of Cooperative Management said he joined just two days back in Chennai and was very happy to meet the friendly staffs and deliver one session of the training programme. He also praised Working Women’s Forum (India)/ Indian Cooperative Network for Women for its work among the poor women and added that this place in Mylapore, Chennai is very prominent and a landmark because of the presence of this organisation. The two day training focused on cooperatives principles, byelaws, important provisions/ amendment, credit appraisal, accounting /auditing of cooperatives, basics of using Microsoft windows desktop properties, digital economy, digital cashless transaction, digital lockers and personality development. The curriculum had been a relevant one to their day-to-day work where trainees said they learned a lot and would implement it in their work.